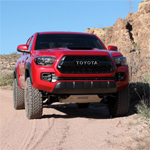 AZFJ › Forums › Arizona FJ Discussion › General Discussion › Winches that have been installed for a while! 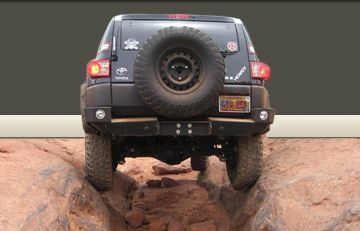 Forums › Arizona FJ Discussion › General Discussion › Winches that have been installed for a while! Winches that have been installed for a while! Posted: Thu Aug 31, 2017 9:27 pm Post subject: Winches that have been installed for a while! Last time I did Chimney Rock and got stuck in my winch didn't work I finally pulled it all apart and started addressing it. With further investigation found the ground cable completely corroded off of the winch so I'm posting this as a friendly reminder too frequently check your cables. You don't want to get caught with your pants down like I did. Posted: Fri Sep 01, 2017 5:11 am Post subject: Re: Winches that have been installed for a while! Solid advice Rob. Glad you got it figured out. Posted: Fri Sep 01, 2017 6:48 am Post subject: Re: Winches that have been installed for a while! Metal cable vs synthetic rope. A good case for rope. Posted: Fri Sep 01, 2017 6:54 am Post subject: Re: Winches that have been installed for a while! Posted: Fri Sep 01, 2017 7:49 am Post subject: Re: Winches that have been installed for a while! Good advice. Also wise to cycle through your 4wd settings once a month or so to make sure everything works before you are in a spot where you need it and then discover something is jammed or stuck. Posted: Fri Sep 01, 2017 8:54 am Post subject: Re: Winches that have been installed for a while! Oh, Duh.... I completely missed the GROUND word. My bad. Sorry Rob, didn't mean to jack your thread. I'm still an advocating for Rope though. Posted: Fri Sep 01, 2017 2:48 pm Post subject: Re: Winches that have been installed for a while! Posted: Fri Sep 01, 2017 2:50 pm Post subject: Re: Winches that have been installed for a while! Posted: Sun Sep 03, 2017 11:00 pm Post subject: Re: Winches that have been installed for a while! Good tip! I'm gonna check the old one here. Posted: Wed Sep 06, 2017 3:11 pm Post subject: Re: Winches that have been installed for a while! Yeah Jake that too is a common practice of mine. Especially a few days to a week before I have a run planned so I can maybe get the problem resolved.